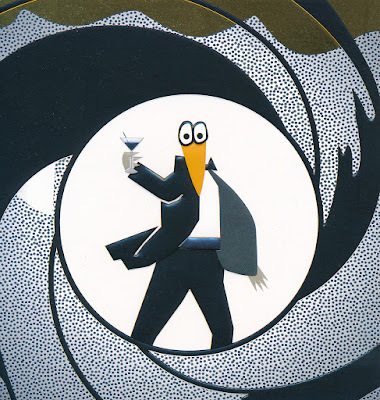 James Bond - The Secret Agent: Worst James Bond birthday card ever? 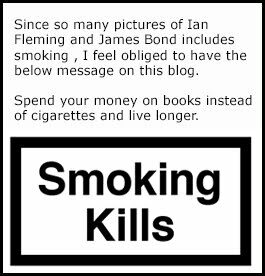 So this blog post does not have anything to do with the literary James Bond but I felt the need to share this with you any way. A few days back it was my fortieth birthday. Actually it was December 15 that was the big day. two of my brothers had therefore joint forces and bought me a present together. But since they know I am a James Bond nut they decided to give me a James Bond card. You can see the card below. is it not the worst James Bond card in history? They just do not come uglier then this. I laught out load when I saw it! What is it? A duck? I guess that there is no licensing fees involved this time :0). Have you seen uglier James Bond greeting cards? Feel free to share them below. The card is made by Amanda Seymour and is owned by AB Pictura.